Manufacturing companies are under the stress to give best quality products at minimum cost within the minimum delivery time, in spite of unpredictable economic conditions. Due to global competition like improved customer satisfaction and minimum cost, the organizations are thinking for innovative methods for creating competitive advantage. One such way is the collaboration among all the members of supply chain. To understand supply chain collaboration, we have to know the driving forces of collaboration within the supply chain. In this study, from the relevant literature and the advices of an expert team composed of technical and managerial of the manufacturing firms and academicians, 20 collaborative drivers have been diagnosed. 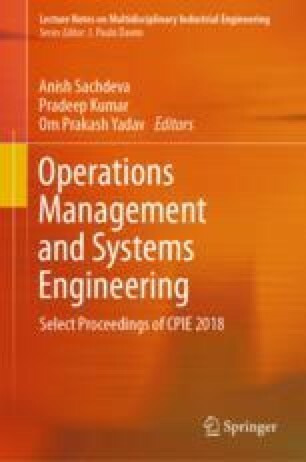 An ISM-based model has been formed to study the understanding of the collaborative drivers in adopting supply chain collaboration within a manufacturing organization. We propose the ISM model, and an MICMAC investigation is done. Its practical significance is to make use of the decision-makers’ knowledge to give a fundamental understanding of a complicated situation, followed by a course of action for problem-solving.